He went to seek help with another tribe leader who happened to be his father’s friend. His name was Khan. He accepted Timujin and extended him help in pursuit of attacking the rival tribe that had kidnapped his wife. Jamoca, Timujin’s blood brother who had been with him since childhood developed differences with him and split from the tribe creating his own tribe. He ambushed Timujin’s tribe 2 years later and slaughtered many men and the ones that were captured alive were boiled alive by Jamoca. Timujin vowed to revenge the death and started training his tribe with fighting, riding & archery skills. He attacked Jamoca in 1204 and decimated his army. Jamoca ran away to save his life but not for long and was eventually killed by Timujin by breaking his back. Timujin was now widely known as Genghis khan. He then marched towards China. He took help of mercenaries in order to further expand his army and then attack plains of china one by one. The breach of Beijing fortitude marked Genghis Khan’s control over China. Later, his army sent ambassador to Persia but the Sultan of Persia miscalculated Genghis khan’s power and sent severed head of his ambassador back. This enraged him and he sent an army of 200,000 to invade Persia and they plundered & killed a million people in Persia. His army later travelled East and conquered parts of Europe. The size of his kingdom was now 4 times the size of Alexander, the Great’s empire. It spanned a mind shattering 12 million square miles. Genghis khan died on August 18, 1227. It is believed that he had ordered to kill everyone who would arrange his burial so that nobody would be able to know where he was buried. As of today, Historians are not able to find his burial. Khan had killed 40 million people in regards to his conquest by the time he died. 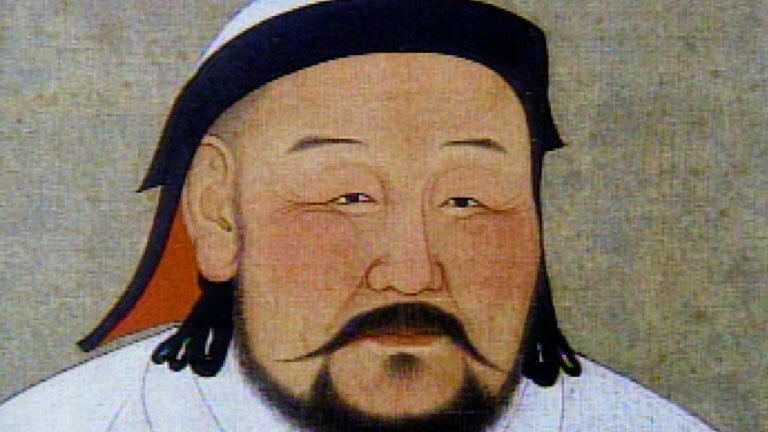 Today, 1 in every 200 people on this planet can trace their lineage to Genghis Khan. He was such a great ruler that took the 12th century by storm.